West Berkshire and beyond plays host to some truly inspirational women. Today we speak to one of them; Sarah Gardner who set up a charity called ATE Ghana. 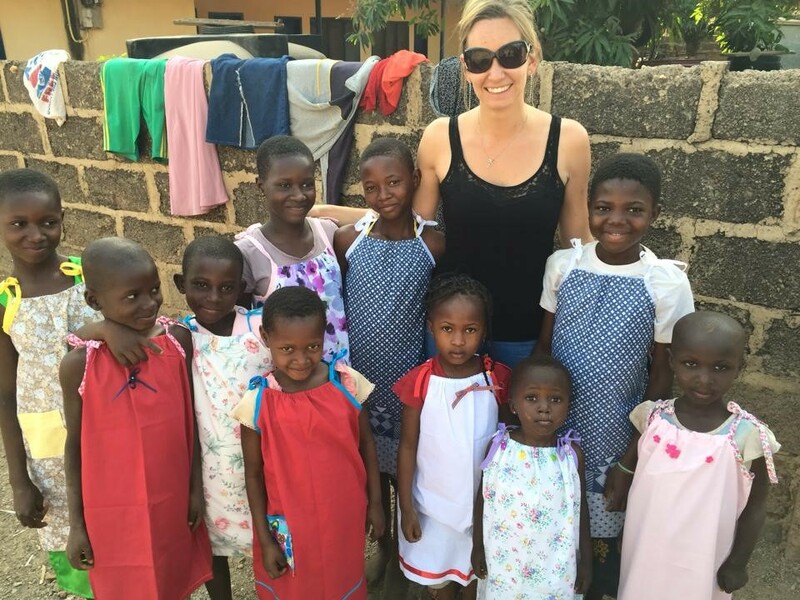 “I can’t believe that this is what I do now,” says a former Winchcombe Primary school teacher about the charity she set up to support a community in rural Ghana. Sarah Gardner, aged 31, was placed in Lawra three years ago as part of an 12-month pacement with VSO. Initially her brief was to work in the local education authority there supporting 96 primary schools but it quickly became apparent that her help was needed in other ways. Left more or less alone in the middle of nowhere with a wonky bicycle, Sarah had to adapt quickly. Setbacks included 40 degree temperatures, isolation, no one wanting to work with her, and a severe bout of malaria that put her into a hospital. Unconscious for 48 hours, then unable to move her hands, she found herself in a hospital with no running water or a toilet. However, the intrepid Sarah was undeterred and after a three-year-old child died on her doorstep from malaria, decided that she had to do something to help tackle the poverty. Unsure of what to do, a meeting with an HIV support group revealed that local people were very clear that they did not want handouts, but needed help to set up their own businesses. Action Through Enterprise Ghana was born. Since then, the charity has grown with three separate aims; providing school meals to a total of 650 children in the area, helping local people set up entreprises and providing support to families with children with learning or physical disabilities. ATE Ghana works with schools and PTAs to provide locally-sourced ingredients for school meals. Children are better able to learn when they have had a nutritious meal and so the children are supplied with a filling maize-based dish called Banku. Sarah’s answer to coping with the difficulties of life in Ghana was to adopt a puppy called Shilea for whom she had to exchange a chicken. Shilea offered real protection from the snakes and scorpions that can be found in the country and provided companionship during the most difficult times. Shilea still lives in her Ghana HQ and having been born the week that Sarah arrived in Ghana, is a constant reminder of how successful the charity has become. This year, the charity has achieved its aim of raising £150,000. Next year’s target is £250,000, which will enable ATE Ghana to feed more than 650 children and to launch the feeding programme into two more schools. Nearly 50 businesses have started with the charity’s help and Sarah is proud that the vast majority survive and make a profit after a year. The charity is funded purely with donations, and Sarah is keen to talk at events, business groups and even in people’s homes, armed with her projector. She said: “I just want to tell people the information. People are so nice – if you provide them with honesty, clarity and the facts, they really talk to us and are inspired to give. The generosity of local people is phenomenal and we’re always so grateful for any support; for people in Ghana, these donations are truly life-changing. ATE Ghana’s next fundraising event is a Santa’s grotto in Ramsbury. For more information or to make a donation, visit www.ateghana.org or www.facebook.com/ATEGhana. Sarah is really making positive waves in the lives of people in Lawra District of the Upper West Region, Ghana. I’m speaking from an eye witness point of view as I in this one way or the other have been involved in the works of ATE in the District. I admire Sarah’s commitment to letting things work in the right way and do not compromise or engage herself in agreements that possibly will jeopardise the future and works of ATE. Kudos Sarah, long live ATE. How lovely, thanks for commenting!